Friday evening, I thought I’d go straight from work to the allotment and let the weekend start working its magic by soothing away those work stresses as I tended to my vegetable children. 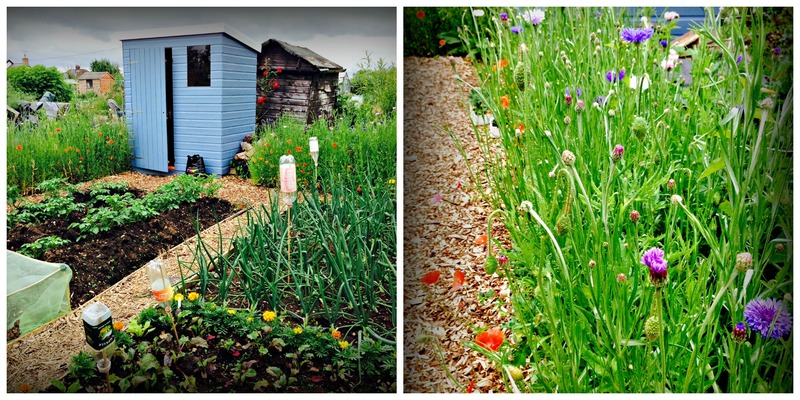 On arrival, and to my delight, the wildflower seeds I had planted earlier this year were finally opening and I was greeted with bobbing heads of colour; from the striking pinks and reds of the poppies to the dashing blues of the Cornflowers. Even a proud Foxglove had stretched up to sound my arrival with its bee-filled cornets. It was this point that loud shouts from the allotment entrance brought me crashing back to the real world. At first I thought it was just a couple of the ‘old’ boys engaged in competitive allotment talk about who was growing the largest onion.. Unfortunately I was very wrong. Taking my watering can, I made my way up to the main path where the water troughs are located. As I stepped onto the path, I was greeted by a friendly lady from a nearby plot, who pointed towards the entrance and said, ‘It’s all kicking off’. Looking down to the gate, I saw a fellow allotmenteer squaring up to a man. They were yelling at one another whilst the man’s girlfriend looked on nervously holding their dog on a leash. Turns out, being a hot and sunny evening, the man had taken his dog and placed him in one of the water troughs to cool off, to the horror of the allotmenteer who happened to catch him in the act and tore shreds off him for committing such a crime. Now who was right and who was wrong is something I leave for you my dear readers to discuss, as I would love to know your thoughts. But in that moment, on the outside of the allotment barrier, all I saw was the worst in two people. What had started out as a joyous evening was quickly being washed away. Thankfully, after no more than some horn-locking, thumps on the car roof and a push to get out of the way, the men children parted. No reconcile, no apology, just two people letting themselves down. Still on a positive note, remember when I was contemplating growing another vegetable? Ladies and Gentlemen please be standing for the newest member of Agents of Field family.. Florence Fennel! Sorry your peace was ruined. People can be daft, sometimes…Hope the fennel grows beautifully. I planted out some lovely bronze fennel and the pigeons razed it to the ground (grrr), I have had to cage it in netting, which doesn’t look quite so pretty – but at least it has leaves again! Thanks for your kind comments ‘alderandash’. And yeah, people can be daft. Glad to hear you keeping the pigoens at bay, bronze fennel is lovely. I tried to grow it in my garden last year but it just didn’t take. 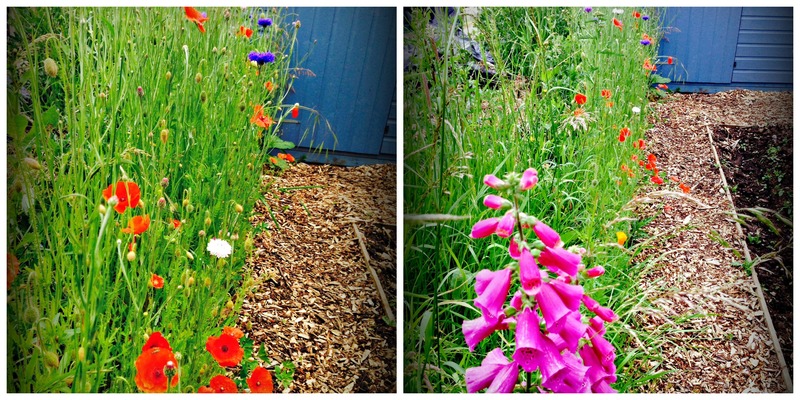 Oh, and that wildflower border looks just brilliant, I’m sure the bees will love you for it! Your plot is looking wonderful! The argument? Unfortunate. Good to hear from you ‘Southbourne Gardens’, thank you for your kind comment. And I agree ‘unfortunate’, but hey there are worse problems in the world.